The Periodic Cicada: Patchy in Time and Space. A recently-emerged 17-year Cicada. Its shed skin, to the left, retains the shape of the last nymph stage which culminated a 17-year long, root-sucking stay under ground. I have been waiting…. and waiting. But the 17-year cicadas haven’t arrived around our home base here in Harlemville, and, it seems, never will. They are winding down their 2013 campaign and places where they have yet to appear will likely not have them. In some ways, that shouldn’t be surprising. As the map below shows, we are at the northern-most end of their range, and their distribution in our region seems to be primarily in the warmer Hudson Valley. However, in the 1894 “millions” were said to have emerged in Copake Falls, and New Baltimore, just across the River, reportedly also hosted a large emergence. Neither venue seems to have seen any number this year. 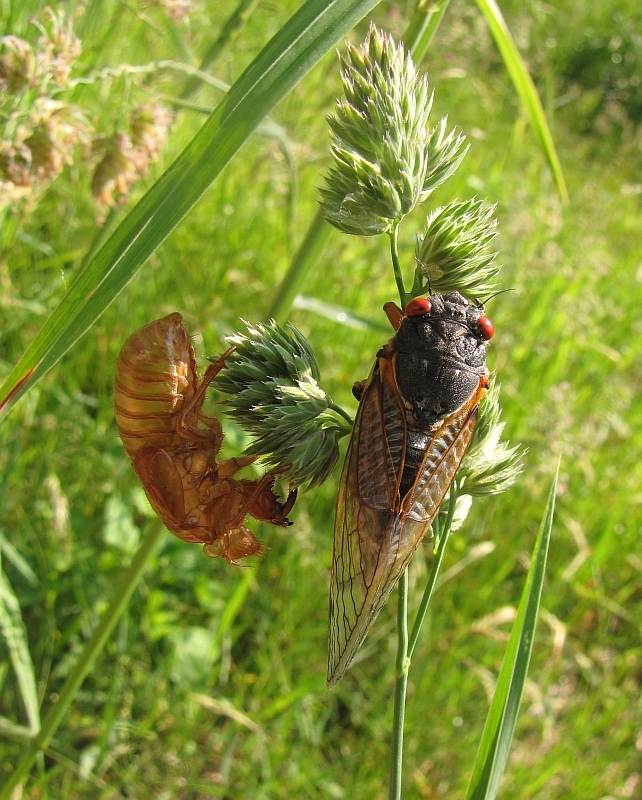 I would much appreciate hearing from you if you live in Columbia County and did OR didn’t have cicadas this year (see contact form at the end of this blog). More on their distribution in the County later. To make up for our frustration, I thought I’d share a few images from nearby areas where they did appear. 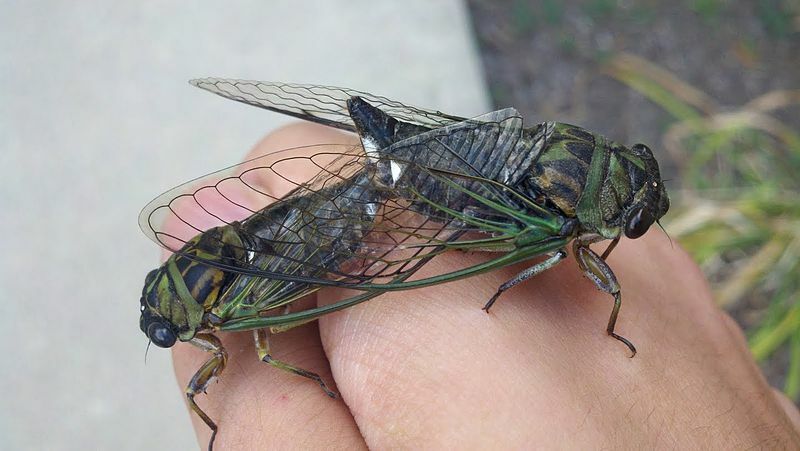 Until you see it, it’s difficult to imagine what a ‘mass emergence’ of cicadas means. 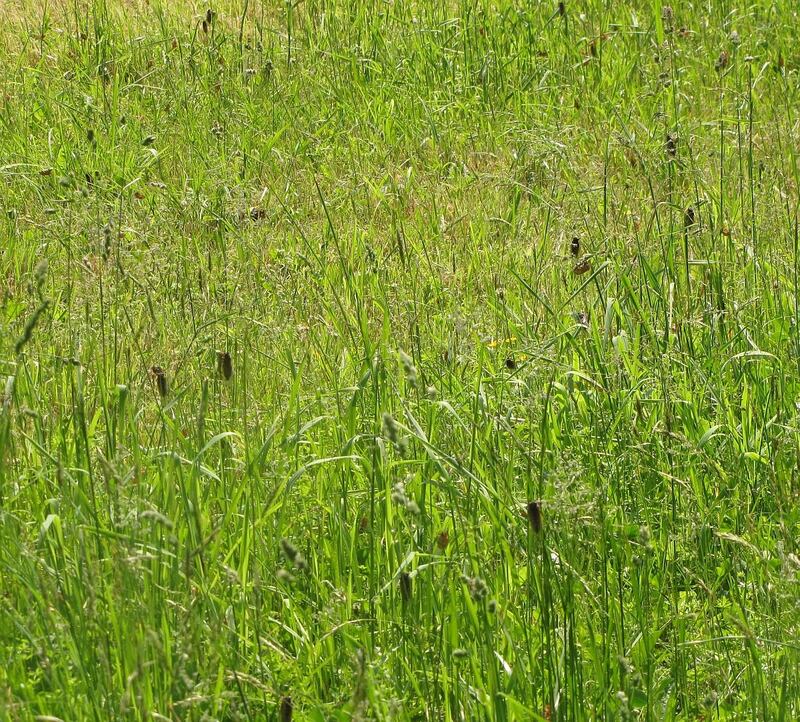 Emerging cicadas dot the grass blades in this image from the June emergence in Rhinebeck. Our two species of 17-Year Cicada. Magicicada septendecim is the larger species. They also have a patch of orange between the eye and the wing insertion (only vaguely visible on this specimen which I found dead). The underside of that species also has orange bands. We may have a few species of cicada in our area. 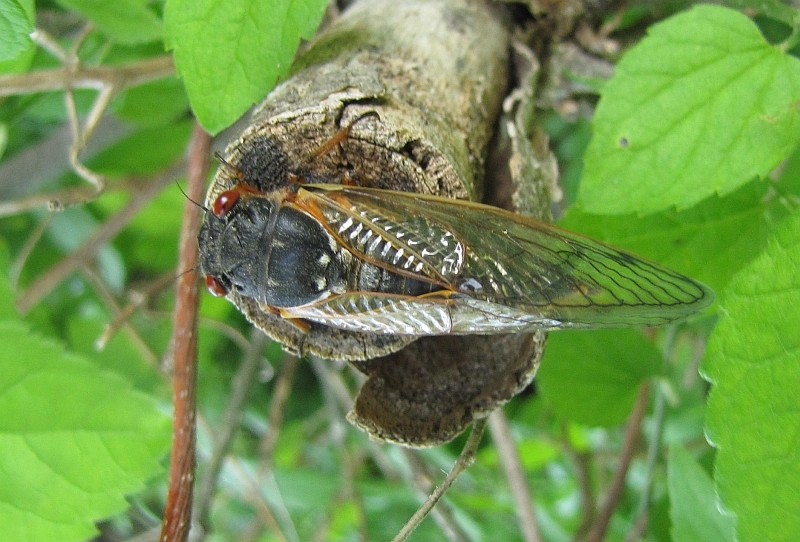 The most familiar is likely the Dog-day Cicada (photo farther below), a late summer species whose high-pitched whine is the sound of summer heat. This species makes an appearance every year. Although it may spend a few years below ground, generations aren’t synchronized, so adults are emerging each year, rather than every 17 years. The 17-year Cicada is actually somewhat smaller than its more regular relative. It’s its explosive, sheer numbers which make this species such an attraction. 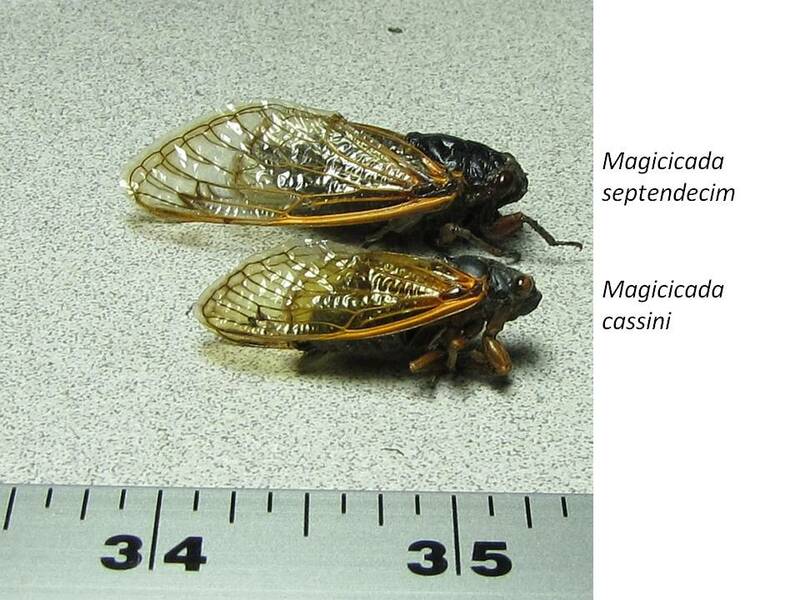 To add more complexity, there may actually be two species of co-occuring of 17-year cicada hereabouts: Magicicada septendecim and Magicicada cassini. As I only really became aware of this ipso facto, I can just say that, based on call and appearances, the sites I visited appeared to have both species. For more on how to recognize our two species, see this link at magicicada.org and this one at cicadamania.com, both of which are excellent sites for more info. Emergence holes dot the ground along this path in Germantown’s Keep Conservation Foundation Preserve. There was likely no path when these individuals first went below ground. Cicadas are close relatives of leaf hoppers and plant hoppers, and like them, live by sucking plant juices. 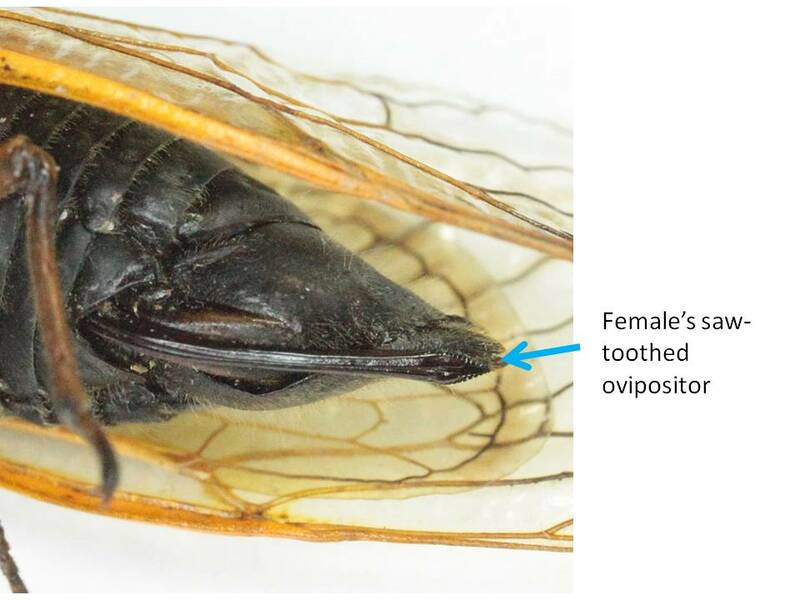 The Cicada mouth (see below) is a stylus and nymphs spend their below ground years tapping plant roots, while adults fuel their month or so of above-ground life by sucking on stems. The Cicada’s plant-sucking, needle-like mouth part. Unlike our drabber Dog-Day sort, the 17-year Cicada has bright red eyes, golden wing veins and, in M. septendecim, a similarly-colored abdomen underside. Heck, if you only make a show of it once in a blue moon, then you’d best dress in style. The red eyes, black body, and orange wing veins of the 17-year Cicada. Our Dog-day Cicadas. Some of these emerge each year, usually starting their serenades some time in July. Historically, these were called Harvest Flies, presumably because they flew late in the summer as harvest was occurring. Image from Wikipedia. Before you even see a Cicada, two pieces of evidence can tell you they are or have recently been present at a particular site. First, there are the calls made by the males in the apparent hopes of attracting females. 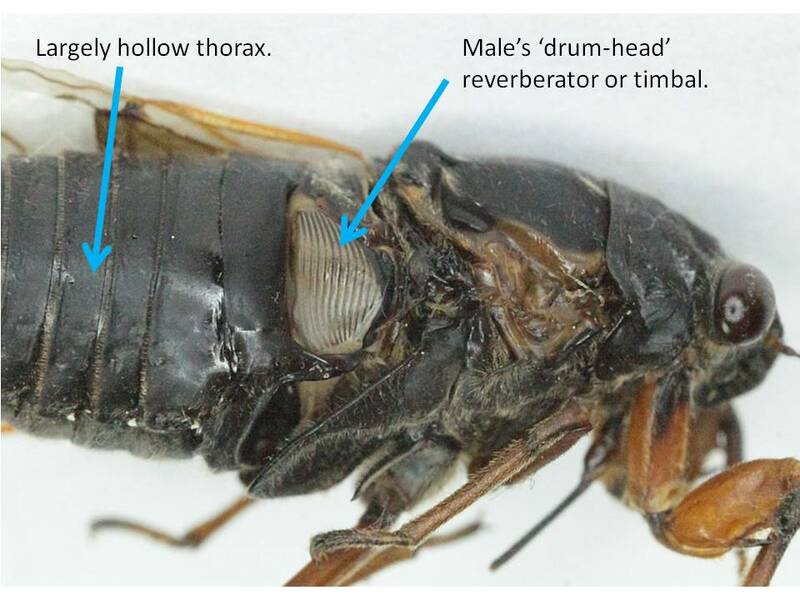 While the Dog-Day chorus produces that high pitched drone, the 17-year Cicada has a lower rattle. The calls rarely overlap in time because the 17-year variety have pretty much wrapped up their adult lives by now, whereas the Dog-Day Cicadas are just getting going. The 17-year species, at least, produce two types of calls. Aside from the commonly heard rattling chorus, there also appears to be a courting or calling song that is used as a male and female approach each other. In our more common species, this is a pulsing, buzz which, when I first heard it, made me think of a distant alarm of some sort. Some people liken this call to repetitions of the word, “Pharaoh”. For an overall discussion of the calls (including audio and video) see this page and see the following for details of M. septendecim’s calls and M. cassini’s vocals. The second piece of ‘remote’ evidence only becomes visible some time after emergence, after the female has inserted her eggs into branch tips with her saw-like ovipositor. 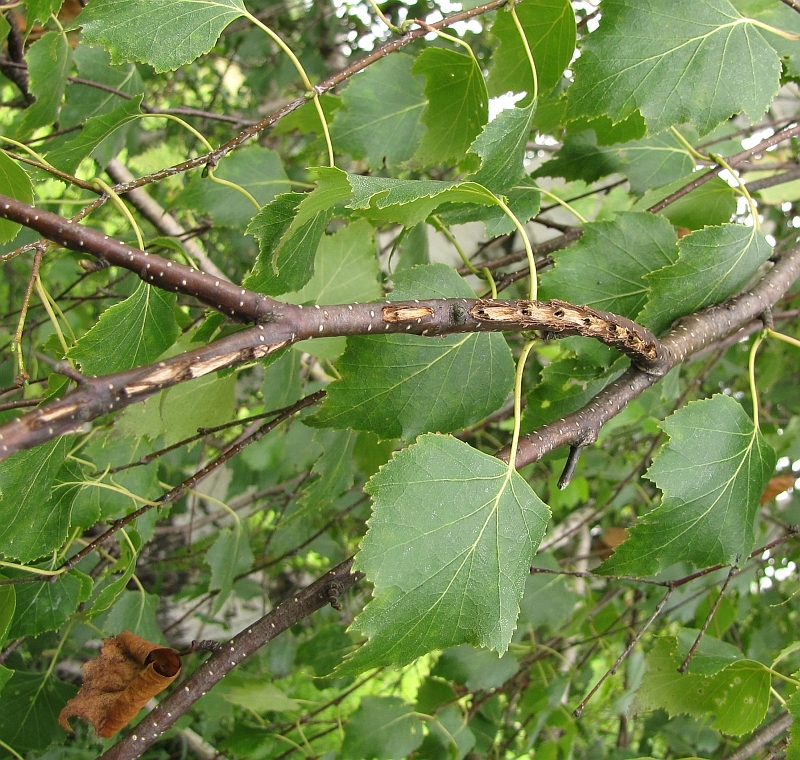 The wounds apparently are damaging enough to kill off these twig tips, the twigs wilt and even break, and so-called “flagging” results. 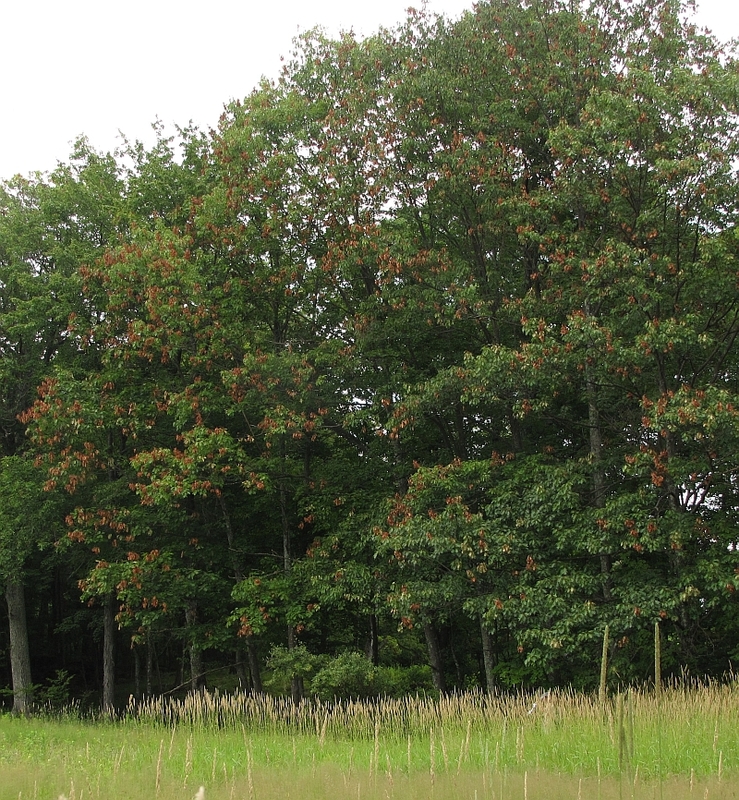 From a distance, trees look as if somebody has hung out many large, brown socks. Coming once every 17 years and affecting mainly the twig tips, the long-term damage is usually slight although, apparently, young trees can be challenged. The brown branch tips on these trees, photographed at the Keep Preserve in Germantown, are caused by the female as she deposits her eggs. A closer view of the flagging caused by the female. Coming once every 17 years and usually confined to the branch tips, the long-term damage to all but the youngest trees is usually minor. The small slashes caused by the female as she deposits her eggs. This damage often kills the end of the branch which then weakens and breaks, sometimes separating completely and falling to the soil. 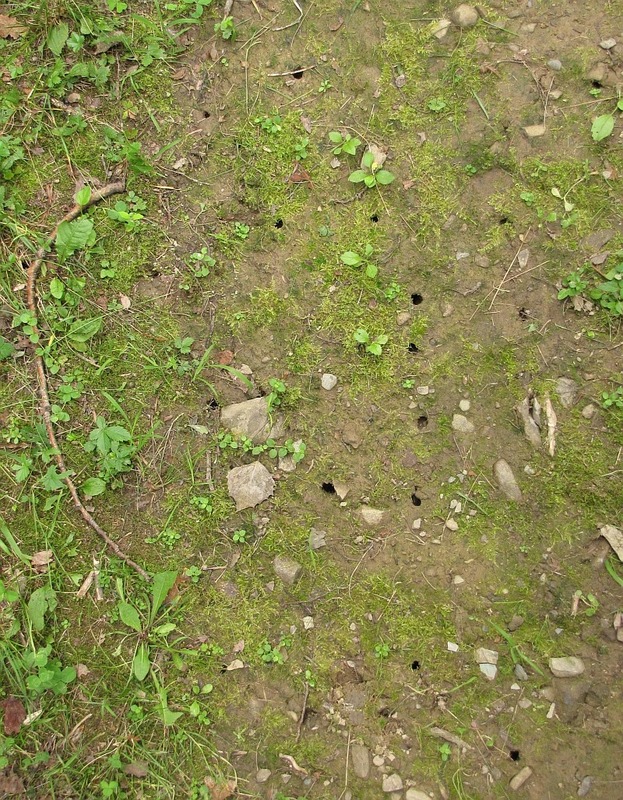 The tiny nymphs will emerge from the holes seen here and make their way into the ground. It is thought that this might be easiest when the twig is already lying on the ground. Finally, the ‘auger’ used to do all this work – the females ovipositor. She uses this tool to drill into the branches and deposit her eggs. As one of their most distinctive features, it’s worth explaining the basics of sound production. The males have a ribbed membrane located behind the insertion of the wing. They use this to make sound by rapidly bending and releasing it, perhaps in a way analogous to ‘playing’ a saw blade by warping it. The sound is amplified by the fact that much of the cicada’s bulbous abdomen is hollow and so serves as a resonating chamber. The male’s sound-producing timbal. Apparently, muscles around the edge warp and release this structure causing it to reverberate. Note also the sucking mouth projecting below the male’s head. Apparently free of any noxious protective chemicals, the mass arrival of these creatures above ground is a bonanza for predators (although the aforementioned hollowness means that the candy doesn’t quite live up to its wrapper). It is thought that this life-style evolved as a way of overwhelming predators with what is, essentially, an unpredictable mass of cicadas, many more than can be consumed by the populations of predators numerically accustomed to the status quo of the intervening 16 years. I did not see any direct predation during my visits to cicadas in Rhinebeck and Germantown, although the birds were certainly cued in to a flying food tray: trying to count butterflies in the midst of the emergence, I had one butterfly snatched from in front of me by a passing bird. I suspect that the decomposers also have a field day. I saw ants and Daddy Long Legs working on Cicada remains. 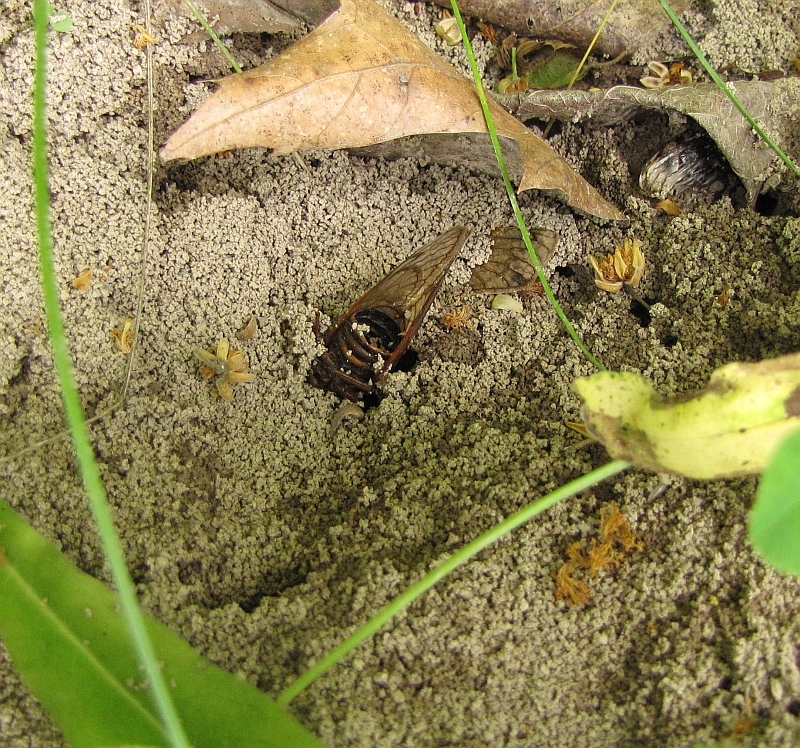 This photo shows a cicada carcass embedded in an ant hill. Surely, the ants are ‘celebrating’ this as a banner year. 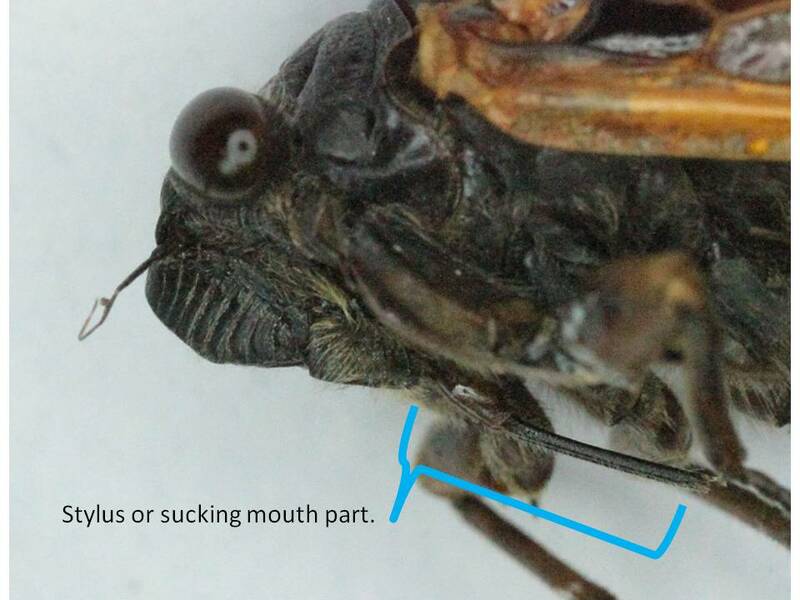 The photograph also shows the hollowness of the cicada’s abdomen. In this case, the tip has broken off. Magicicadas (both the 17 year and here-to-fore unmentioned 13 year varieties found further south) are also affected by a fungus, Massospora cicadina, that begins to work on them while alive, and can infest some populations heavily. While adults can survive for some time with an infection, they are sterile. This fungus is only known from periodic cicadas, apparently waiting out the 17-year hiatus with thick-coated resting spores. 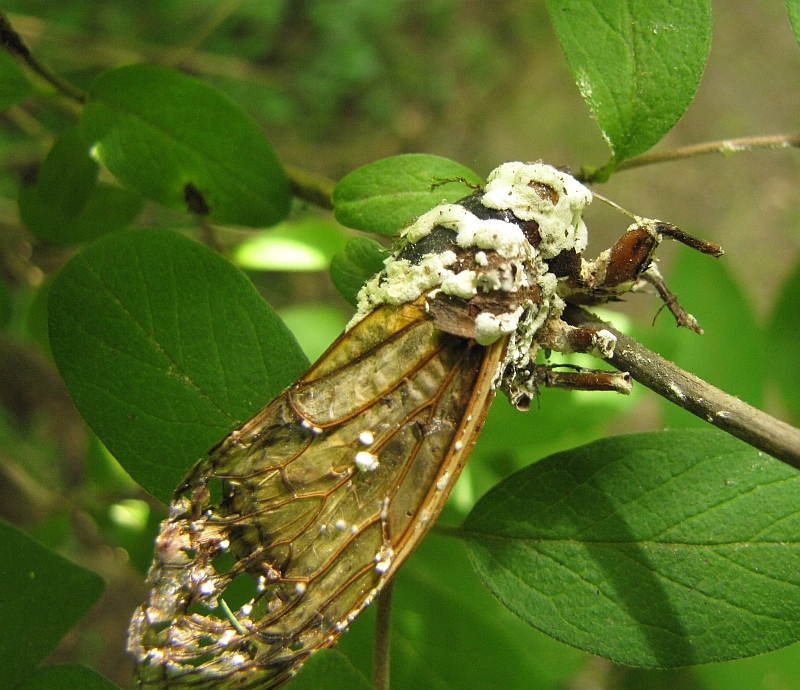 A fungus-ridden corpse of a cicada. Apparently, one particular species of fungus affects 17-year cicada’s, often causing substantial damage to the population. I would like to close off by reflecting a bit more on the patchiness of this species. The map below depicts their distribution in the County. This comes from a variety of records including those of the great magicada.org map and nifty RADIOLAB mapping site. These are very informative sites, well worth visiting (together with the cicadamania.com site). To those data, I added my own observations and those of friends. I also included a set of historic data from Lintner’s report on the 1894 generation (in the 12th Report of the State Entomologist, pages 272-289, 1897) and Felt’s report on the 1911 emergence (on pages 68-97 of the 27th Report of the State entomologist 1912). 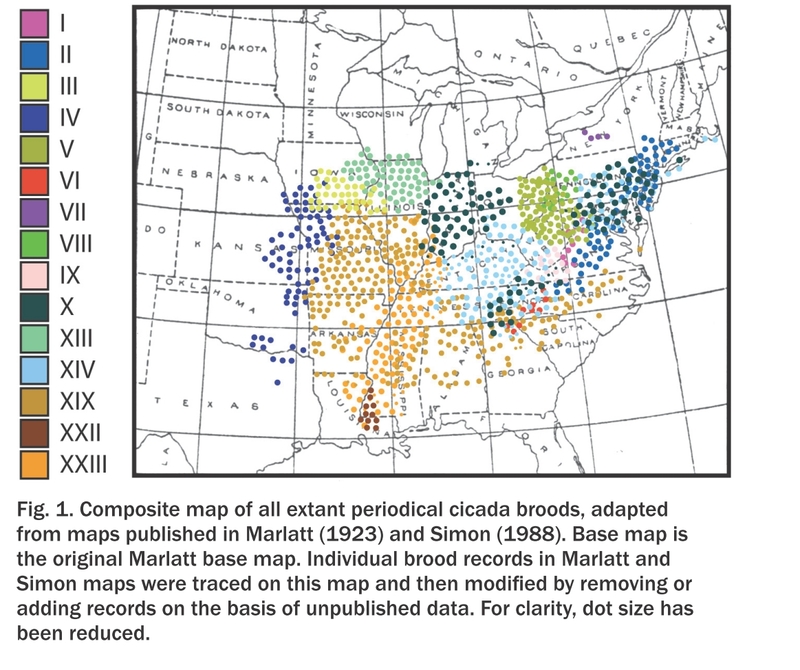 A map of current and historical 17-year Cicada records in Columbia County. See text for sources. Updated 12 July 2013. As this map shows, the 2013 Cicadas appear to have been largely confined to the western part of the County. Intriguingly, older reports suggest that they were more widely distributed, occurring nearly as far east as Massachusetts, at least in the southern part of the County. As mentioned earlier, the Copake Falls records were of “millions’ of creatures. Friends in that town reported no Cicadas this year, although they have vague memories of earlier appearances. I have found no records at all from the northeast corner. 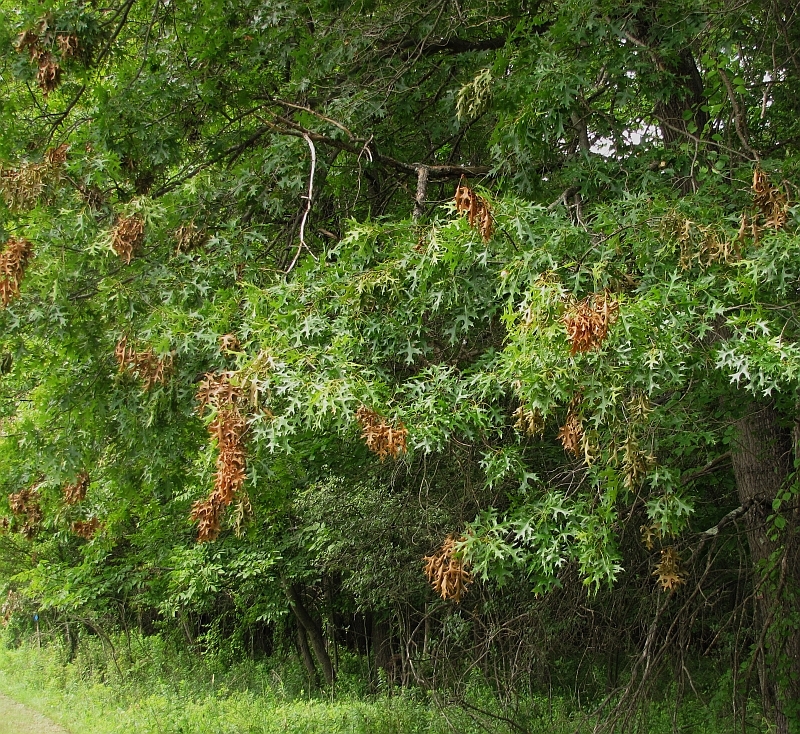 Related or not, the southern/eastern part of the County was especially heavily sprayed during the Gypsy Moth control efforts of the 1920s and 1930s. It would be interesting to learn of the 1928 and 1945 broods. Tellingly, in 1854, Ebenezer Emmons was already writing, in his book on New York State insects, “In the older sections of New-York and New-England it certainly does not hold its own in numbers.” One can only wonder at the changes we would note in our landscape if we only opened our eyes once every 17 years. Inconspicuous for most of their lives, this species can easily be forgotten as we go about our land-shaping work. What will the emergence map in 2030 look like? Again, please let us know if you have seen cicadas this year in Columbia County. This will let us update our map. UPDATE: Several people have responded with their favorite cicada links. I’ve listed some of these below the contact form. http://returnofthecicadas.com/the-story/ – Seven minutes of beautiful video footage of the periodical cicada life cycle. hydrodictyon.eeb.uconn.edu/projects/cicada/resources/reprints/Cooley_ea_2004.pdf – An interesting paper discussing the extinction of cicada broods in western NY.